D’Artagnan has been awarded a study of Road Usage Charge system/vendor certification for the Western Road Usage Charge Consortium (WRUCC), a voluntary group of twelve state Departments of Transportation undertaking collaborative research into topics related to road usage charging. D’Artagnan is a professional services firm specializing in transportation policy, planning, finance, road use charging, and transportation technologies. 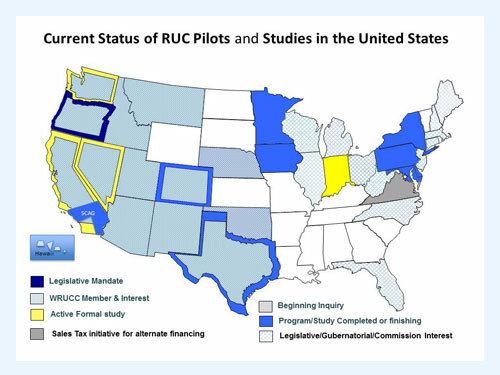 Several tasks will be covered, including an assessment of recent road usage charge funding initiatives around the U.S. and internationally; a revised financial evaluation of road usage charging; a review and analysis of legal, operational and policy issues that must be resolved before a road usage charge system could be implemented in various states.